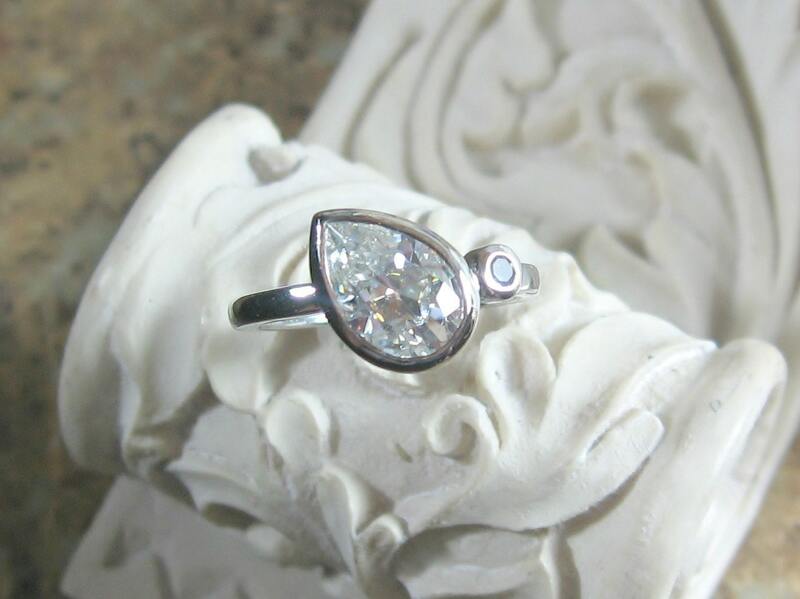 Moissanite Pear Shaped gemstone in 14k White gold with a 2mm aquamarine. 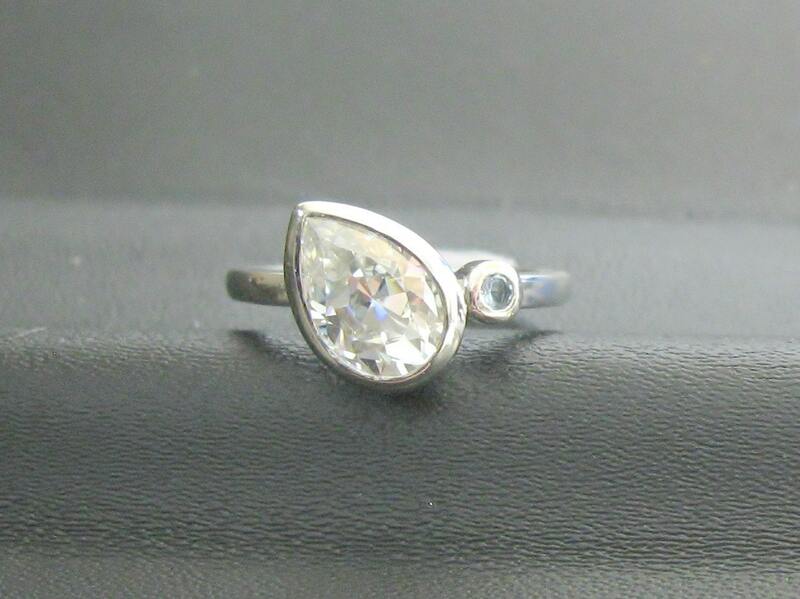 The stone is gently tilted giving this piece a unique, modern look. Perfect for the non traditional bride. 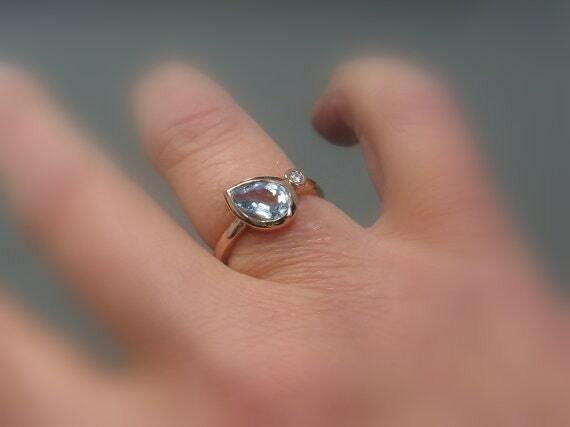 This ring can be customized with any side stone you would like, additional fees may apply! 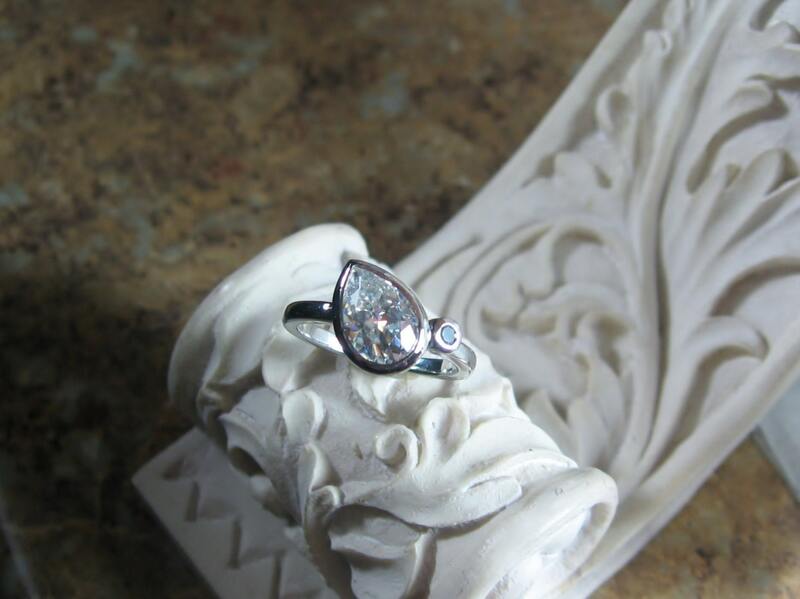 Moissanite has more sparkle than most diamonds and can fool trained expert jewelers. 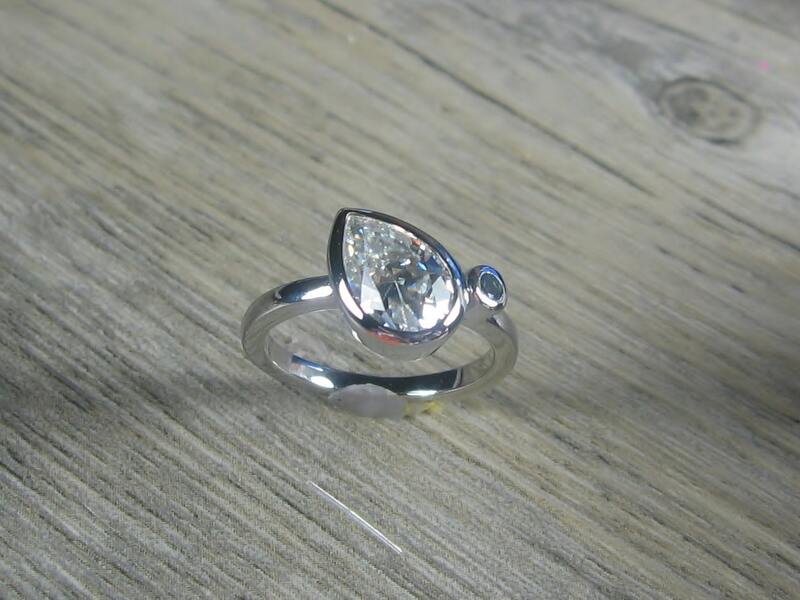 Moissanite will come with a Certificate of Authenticity! **Complimentary Standard Shipping within the US.